Cape Town - The South African Cricketers’ Association (SACA) has responded to statements made at Friday's Cricket South Africa (CSA) media conference. "We will then know the extent of the financial challenge and can be part of the solution to that challenge. We have addressed our specific, constructive concerns to CSA in writing but have still had no reply. The statements made yesterday have given us no further clarity on this. It’s our duty as the representative of all the players to make decisions from a fully informed position. "Regarding CSA’s announcement of a domestic restructure to 12 teams CSA stated yesterday that SACA has agreed to this restructure. This is not correct, and SACA has yet to agree to any restructure. "Any agreement by us would need to be a decision of the full players’ executive of SACA and we will only take that decision when we know exactly how this will affect the players, including in regard to contract numbers. 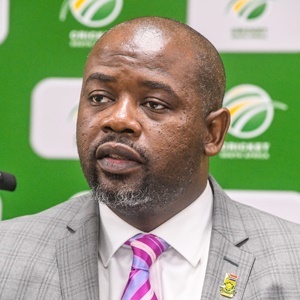 "SACA Chief Executive, Tony Irish, stated: "I wish to again confirm that CSA has not properly consulted with SACA on the domestic restructure. The fact that I was present at certain meetings when the issue of possible restructure was raised does not constitute consultation. There has been no discussion with us on how any restructure would actually work and I have consistently stated to CSA that SACA cannot make any decision on this at least until we understand the financial position and the ‘human impact’ on the players.